This week I've been listening to a band called the Fruit Bats, and a lyric in one of their songs is "You lost your voice singing along to ‘Raspberry Beret'." I decided that I need to hear Prince's Raspberry Beret immediately. 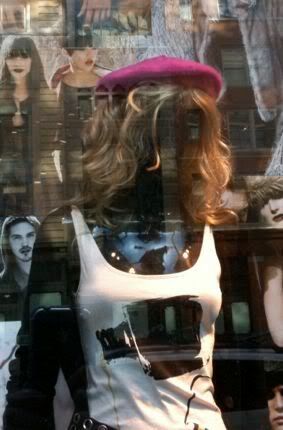 Then that same day, I saw this hat in the store window at H&M. And I needed to own it. August 9, 2009 by Adele Chapin.